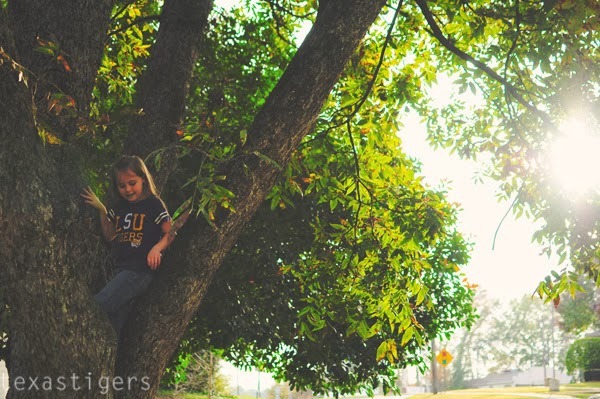 Over our weekend visit to North Louisiana, we were hanging out at SIL's house and she happened to have a pecan tree. Perfect for this time of year. 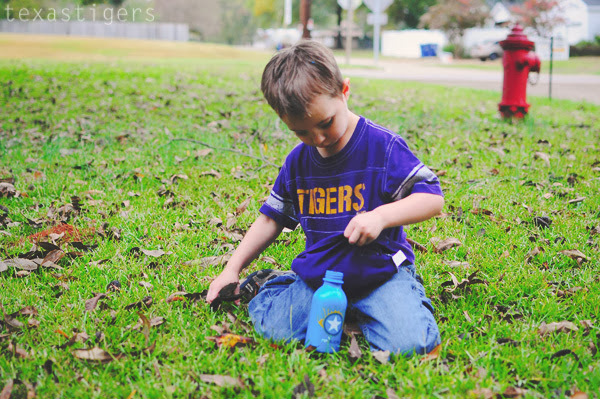 The kids were playing outside and discovered the pecans all on the ground - thinking they looked like bigger acorns like they collect around our Church. They went to town collecting them. 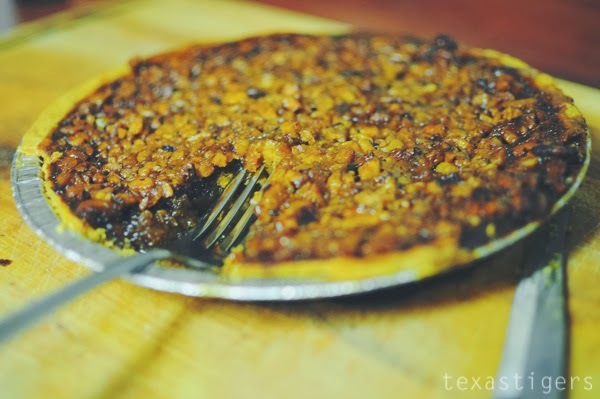 Once someone mentioned they could make a pecan pie with them they were hooked on the idea and couldn't wait to make a pie with all the pecans they collected. Soon we were headed inside to get several bags because they were quickly running out of shirt space! 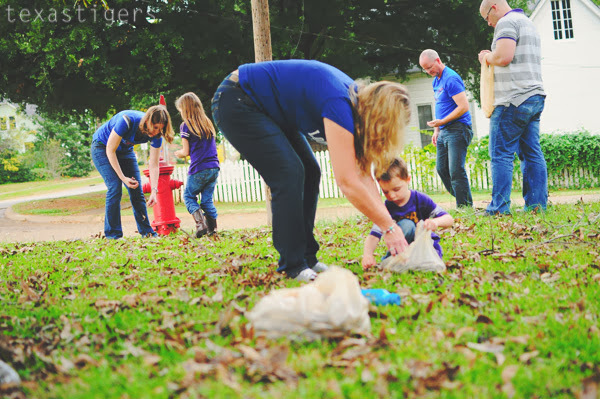 Especially once everyone joined in on the pecan picking up. Two bags of full of pecans plus a third small bag of the ones Daddy had started shelling. 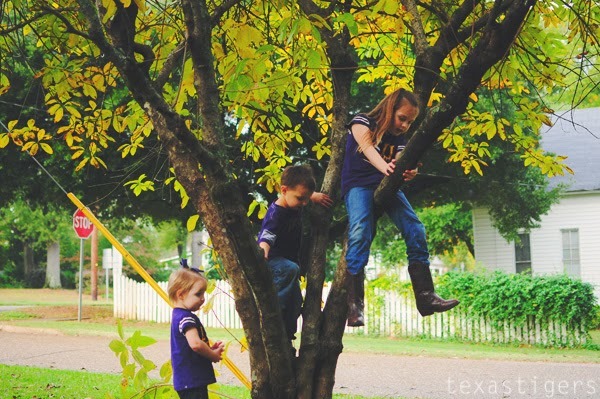 Once the ground was mostly picked up of pecans - they tried to move onto the tree. Then it was tree climbing time - because they were just too inviting not to climb into. Three little monkeys climbing in a tree..... one fell out and bumped his head. Oh wait - that didn't happen this time but I'm fearful this will be in my future. Using The Pioneer Woman's Pie That Will Make You Cry recipe we made our first pecan pie that the littles and I have ever made. I'll have to say it turned out pretty tasty too. Even for someone like me who isn't a big fan of nuts. 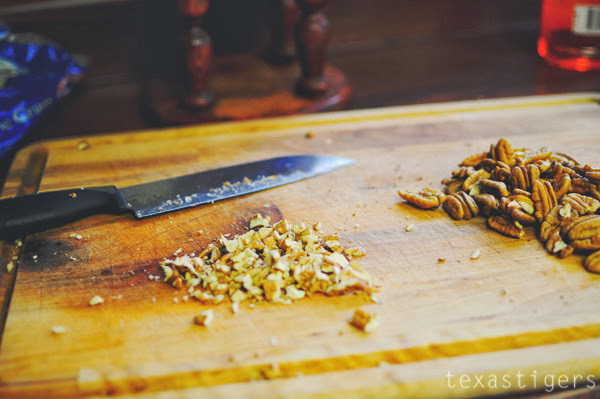 Anyone have any other favorite pecan recipes? So far I'll make salads (for Beau) with some pecans in it, along with sugared pecans for all the teacher gifts this year. That might take care of all the pecans once I finish with teacher gifts but I'm not sure. 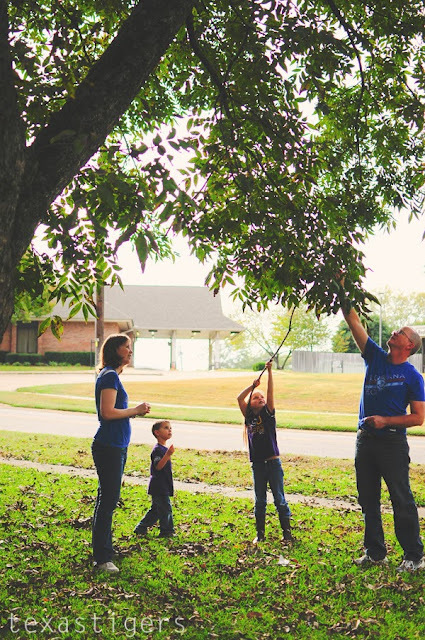 After seeing the price they wanted for pecans at the Farmer's Market today I wished I had a pecan tree in my yard! Ha! 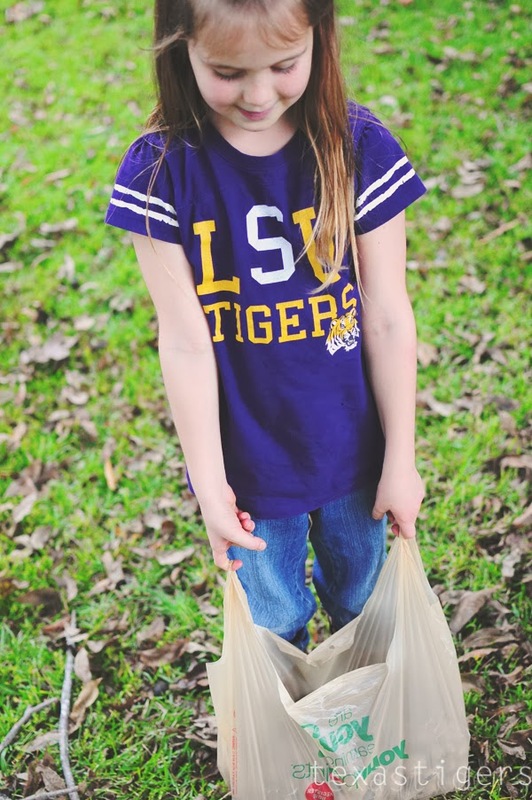 Have you ever collected pecans? What's your favorite of the 'classic' Thanksgiving desserts - pecan or pumpkin pie? Oh yum!! I bet that was delicious .. and FUN! 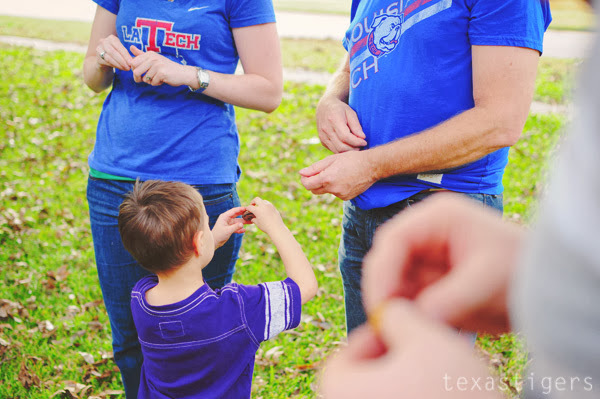 What a fun memory for your family!